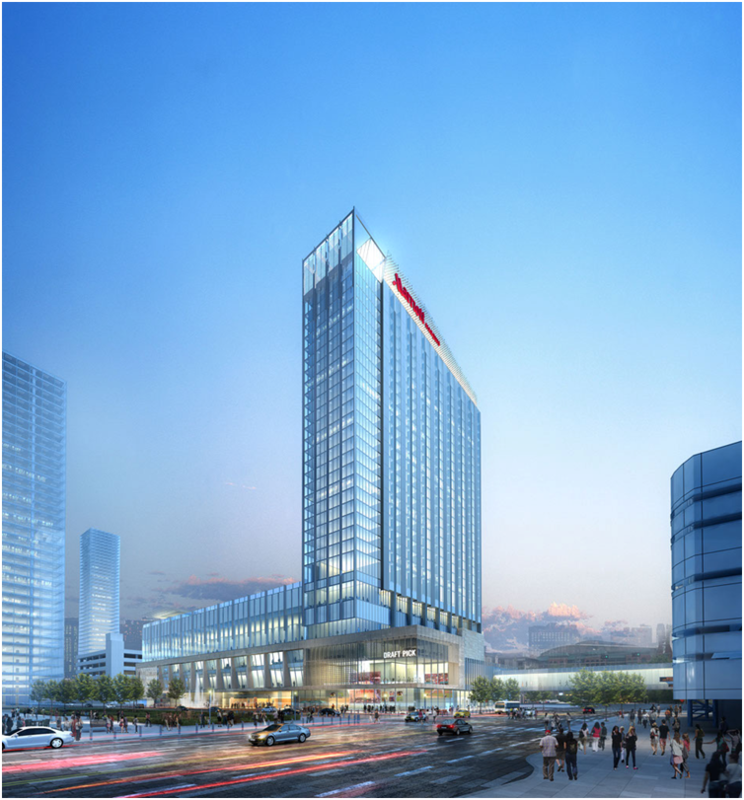 The San Jose Blog: Is There a Second New Westin Hotel Coming to Downtown San Jose??? Just a wild guess, but could this hotel (if a project does in fact exist) be planned for the Boston Properties parcel along Almaden? I say this because the render (building) appears long for an 11-12 story building. Probably wrong, but nevetheless interesting stuff. 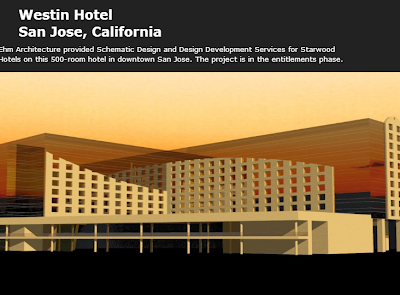 Interesting...I'd like to see another hotel in DTSJ, but it seems unlikely that Starwood would consider opening a new Westin when they haven't even completed the rebranding of the St. Claire. Maybe it's the hotel component of M8trix? After looking through the website and given the outdated design it would lead me to believe that this was an old proposal that never happened. Being closely involved in the hotel and convention center we have not heard of any new hotel developments in downtown with the exception of the Hampton Inn on Santa Clara street. The jpg file was uploaded August of this year. Every picture on their website was uploaded 8/2013. Maybe it's just a new website or updated website. As I mentioned before, the design of that building is outdated, and within the hotel community there is no talk of any new product coming to downtown other than the Hampton Inn on Santa Clara street. Currently downtown could not support a 500 room hotel in downtown. While it would help with conventions, there is not enough business travel to go around. Especially with the current administration ignoring downtown and focusing on North First for any new office development. "Especially with the current administration ignoring downtown and focusing on North First for any new office development." The activity level of office in North San Jose has very little to do with the "administration." It's all about the market, and to the extent that the office market is interested in San Jose, it wants to be along North First Street. More than that, the office market is interested in Palo Alo, Mountain View, Sunnyvale, and Cupertino. 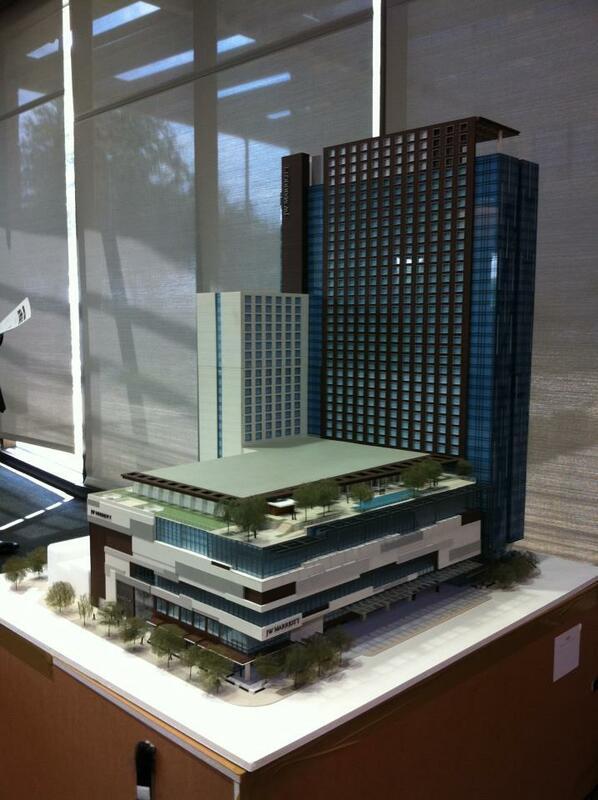 Exactly, there wont be ANY new office developments in DTSJ until we fill a large part of the existing inventory. The good news is that landlords are doing upgrades and renovations in order entice potential tenants to move downtown. Once the vacancy rate gets down into the low-to-mid 'teens, we might see new developments pop up. Why developers seem to think its a good idea to hire bad architects from out of town where there are World Class Architects in at the furthest San Francisco is beyond me...San Jose deserves a level of sophistication with anything built, and we are just not getting it. The City can only do so much to limit building crap - its up to those who are spending the money to spend it wisely.